Don’t miss your chance to share in Twin Towns’ massive cash bonanza when Members Money returns this month. 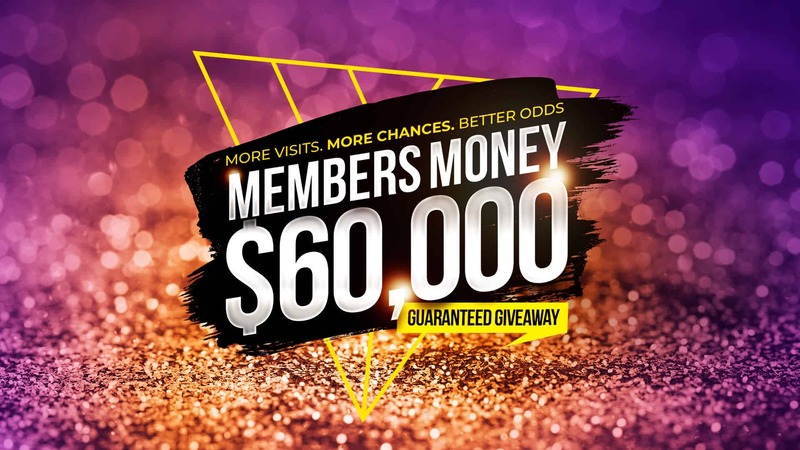 From February through to April, members will again have the chance to win $5,000 or more every week. The odds of claiming a share of the cash are so much better with Members Money than the old Members’ Badge Draw format, where chances of your membership number being drawn were around 40,000+ to one. With Members Money, the odds are in your favour and determined only by the number of entries in the barrel. More chances to win the cash, more reasons to make Twin Towns your Club and the more you visit the Club, the more entries you’ll have in the weekly draw. To enter Members Money, a cumulative spend of $10 on a qualifying purchase (food and beverage) at the nominated Club venue for the month gets you a ticket in the draw. If Members Money isn’t claimed, it will jackpot by $5,000 each week until the cash is won. If the final week’s prize is not claimed, a second chance draw will take place. At the second chance draw, ten individual entries will be drawn from the barrel and each member has four minutes to claim their place in the second chance draw. If they’re not present, the draw will continue until 10 members who are present are drawn from the barrel. If the second chance is activated in the final week, hold onto your entries when you make a purchase and put them in the barrel before the draw on the last Thursday of the month.